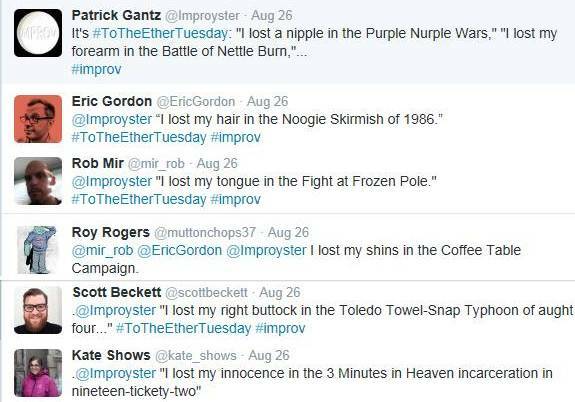 Every Tuesday on Twitter @Improyster, we play #ToTheEtherTuesday. 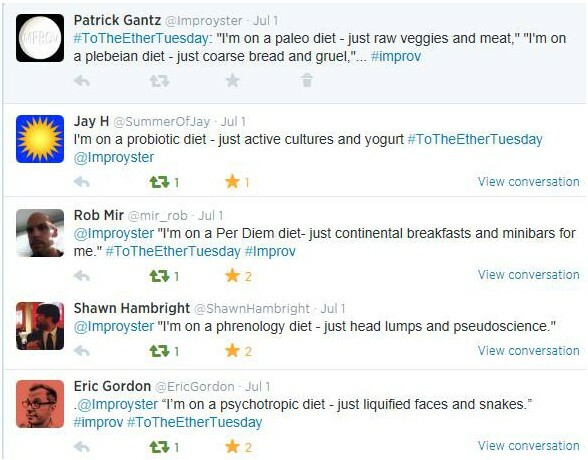 I start, others contribute, and we play. It’s fun. You should play with us.